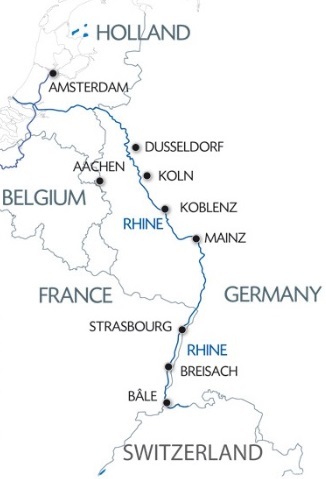 Our ship will cruise to Emmerich-am-Rhein. This morning, join us on an excursion for both packages: Guided tour of the open-air museum in Arnhem. We'll return on board in Xanten and spend the afternoon cruising to Düsseldorf. Enjoy an evening of entertainment. This afternoon, join us on an excursion for both packages: Guided tour of Colmar and the Unterlinden Museum(2). (1) In 2020, the Keukenhof Gardens will be open from March 26th to May 17th.